It is the total quantity of light emitted in all directions. It is measured by placing the light source at the center of an integrating sphere and is relevant for non-directional sources such as A type or when comparing two directional sources with different beam angles. The brightest point in the beam, usually at the center. 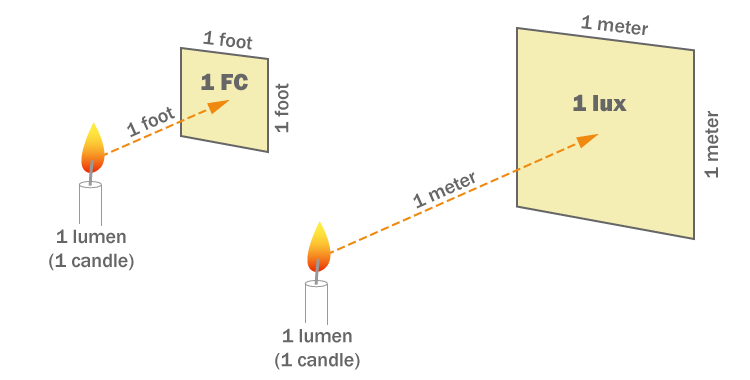 To measure light intensity, the light source is placed inside a goniophotometer and rotated 180° to measure the light distribution and determine the brightest point. 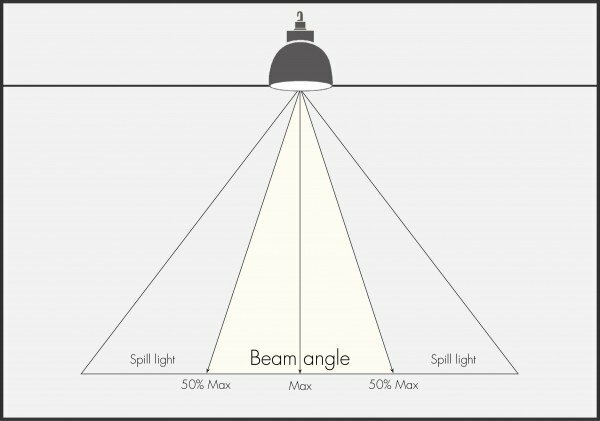 It is relevant for directional lighting such as High Bay or Down Light types but must be used in correlation with the beam angle. It is also sometimes called MBCP (Maximum Beam Candela Power). The angle of the light emitted by the source. It is the angle passed which the goniophotometer measured intensity is below 50% of the maximum (Full Width at Half Maximum). Different applications will require different beam angles usually classified as Spot (SP), Narrow Flood (NF), Flood (FL), and Wide Flood (WF). It is relevant for directional lighting such as High Bay and Sport Light type. The wider the beam angle, the lower the light intensity but the larger the lighted surface area. The color appearance of the light. This is measured in the integrating sphere, which analyzes the emitting wavelength to determine the color temperature. Incandescent and Halogen sources have a Warm White color temperature of 2700K while fluorescent and LED are available in all colors of light such as Warm White (2700K-3000K), Natural White (4000K), Day Light (5000K) and Cool White (6500K). For hospitality and F&B lighting applications, we recommend Warm White to reproduce the home comfort feeling. For retail lighting application both Warm White and Natural White are suitable. Day Light and Cool white color temperature are only used in office lighting and working environment applications where focus and productivity are most important. Fireflier Lighting solutions are available in Warm White (2700K-3000K), Natural White (4000K), Day Light (5000K) and Cool White (6500K). 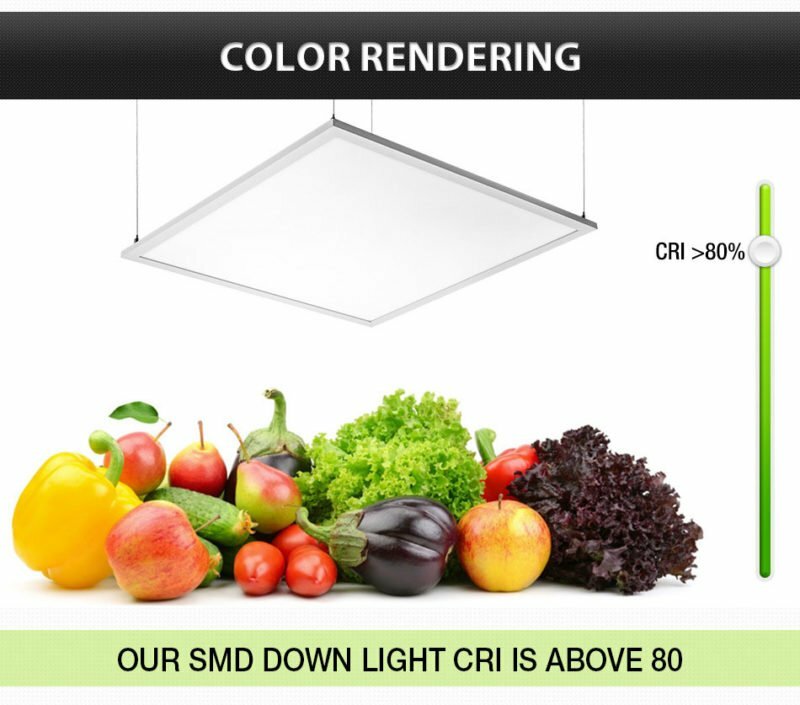 Furthermore, LED lighting output improves as color temperature is increased. The same LED will have a greater lighting output at 6500K than 3000K, which is why it is important to consider color temperature when comparing two LED sources. CRI measures the ability of a light source to accurately reproduce colors and is measured on a scale from 0 to 100. Natural light has a CRI of 100 and is what all light sources strive to replicate. A CRI of 65 is considered poor (right picture) while a CRI of 80 is considered good. Halogen and Incandescent sources have CRIs close to 100 while fluorescent sources are usually around 80. ENERGY STAR requires a CRI of 80 for integral LED lamps. 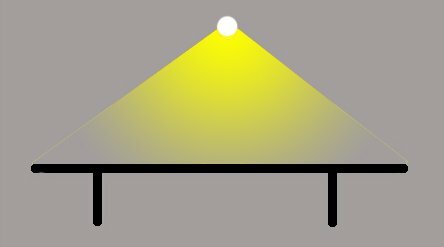 Due to the extended lifetime of LED and its fast development pace, real application data is not always available. This is why the industry relies on the extrapolation from the LED package lumen decline data. 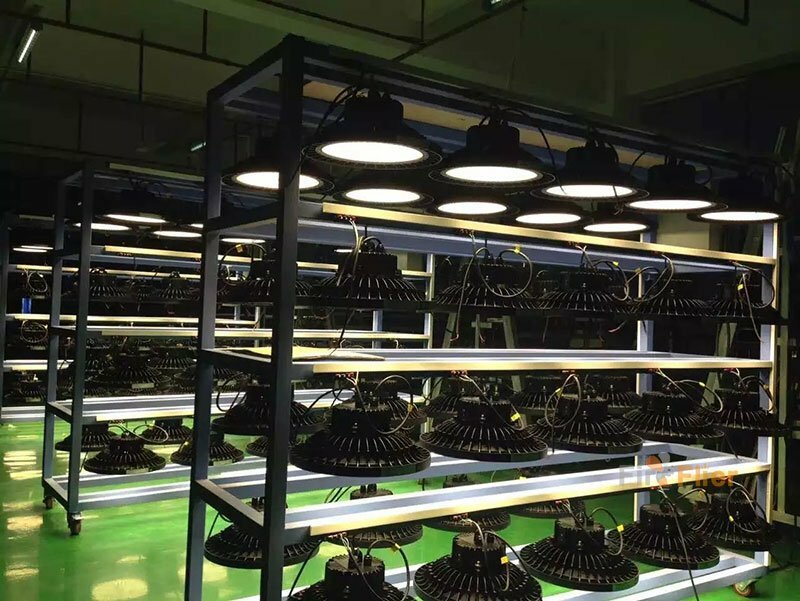 Because the higher the temperature of the LED, the faster the lumen decline, it is critical that the LEDs heat sink system is effective at dissipating heat. 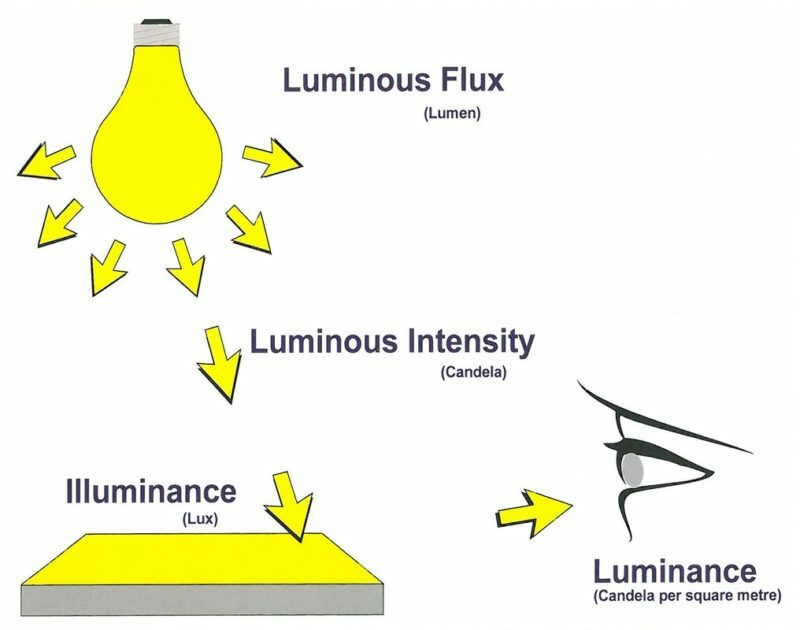 Measures the efficiency of a source by dividing the lumen output by the total power of the system including the driver. Higher efficiency is better for the user because a LED product with a high lumen per watt ratio will reduce energy needs while at the same time create a high lighting output. 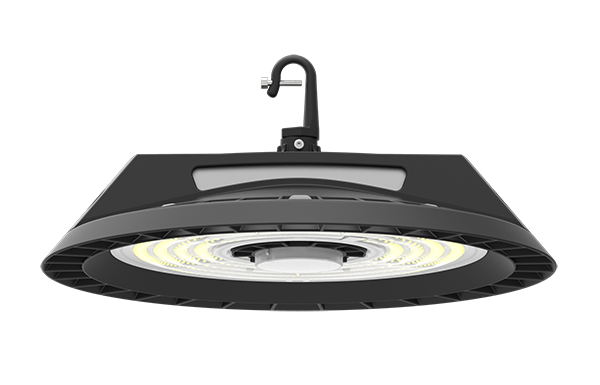 Incandescent or halogen source efficiency is around 10-15lm / W. Fireflier’s Ripple LED High Bay Light is 150lm/w and Crown LED High Bay Light can reach up to 180lm/w now.